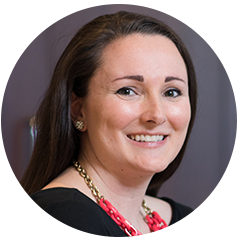 Katie joined Capital One in 2009 as a Private Banking Associate covering a total of $1B in deposits for New York based real estate developers and handling all their treasury and cash management needs. In 2012, she joined the Mid-Atlantic loan originations team and is currently responsible for the New Jersey market with a total of $600MM in new loan originations for 2016 – 2018. Community and industry involvement outside of Capital One include serving as Founder, Past President and Board Member of the Villanova University Club of North Central NJ which is the official alumni chapter for Morris County, NJ for Villanova University; Member of the Board of Trustees of the Medical Needs Foundation, a non-profit organization providing need based grants to individuals and families suffering financial hardship due to medical issues and illnesses in Morris County, NJ; member of NAIOP; and member of CREW. Past honors include Commercial Observer’s “25 Under 35 – Top Debt & Equity Professionals” in 2018 and NJ Biz Magazine’s “Forty Under 40” in 2017. Katie graduated Villanova University in 2006 and currently resides in New Jersey with her husband and three children.